For several years, my father owned an insurance agency in the Hispanic area of town. I would venture to say that about 70% of his customers were Hispanic; with a large portion of those being undocumented workers. Wanting to build a proficiency in the Spanish language, I would often just hang out at the office; jumping into conversations with his Spanish-speaking customers. At first, the conversations were limited by my lack of proficiency. But as my skills developed, we began discussing much more serious topics: how they came across the border; how much money they sent “home” at the end of each month; their fear of the police and desperate attempts to remain under the radar. I think it is an unusual situation for undocumented workers to be this open about their situation – but they genuinely seemed to be comfortable in the office. Everyone – with the exception of my father – was bilingual. Even so, my father learned a good deal of Spanish. He tried to be an ally to their community in a silent way – notarizing documents, calling up and demanding car towing companies to return cars to their rightful owners (whether they be illegal or not), and writing letters to politicians. Day in and day out, I was able to experience second-hand the life of an undocumented worker. I genuinely ached when I heard of raids and deportations – often leading to the separation of U.S.-born children and their foreign-born parents. Based on my experience, I adopted the belief that neither political party in the United States had the right solution – neither in theory nor in practice. Many people advocate a wall being built on the United States-Mexican border in order to stop illegal immigration. (Based on my conversations, people use many other methods of entering into the United States than crossing the border by foot.) 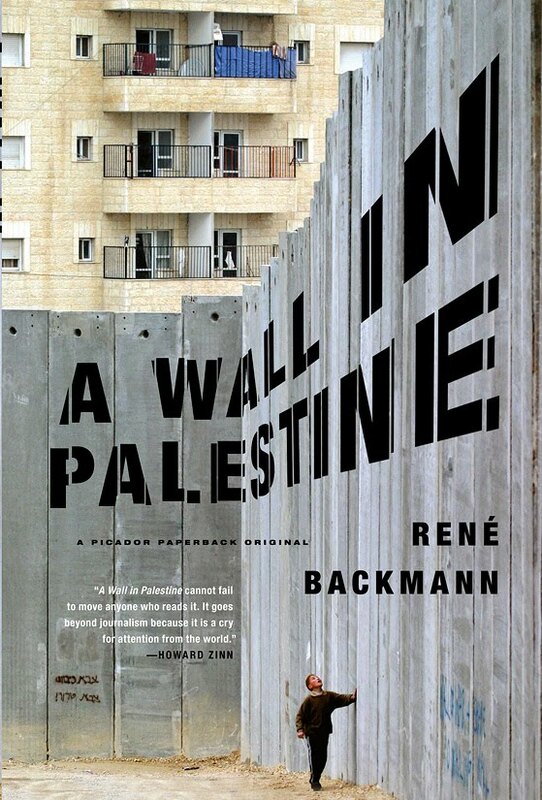 Perhaps these strong feelings about walls and borders caused me to choose René Backmann’s book, “A Wall in Palestine” when searching for a book about the Palestinian territories in Israel. I decided to divide up my reading on Israel into two parts - a book on Israel and a book based on the occupied Palestinian territories– in order to be respectful toward both of the cultures. I have read enough books and sat through enough lectures to know that this was the best course of action. For those with a limited knowledge of the Palestinian territory, it consists of two separate areas: the West Bank and the Gaza Strip. Both of these territories were occupied by Israel after the 6-Day War. In 1967, Israel launched an offensive attack against its neighbors (Egypt, Jordan, and Syria) after increased tension and won a decisive victory in only six days. The Gaza Strip is on the coast of the Mediterranean Sea and borders Egypt. However, this book focuses on the West Bank, which is an area on the eastern side of Israel which borders the Dead Sea and the Jordan River – an area that used to belong to Jordan. 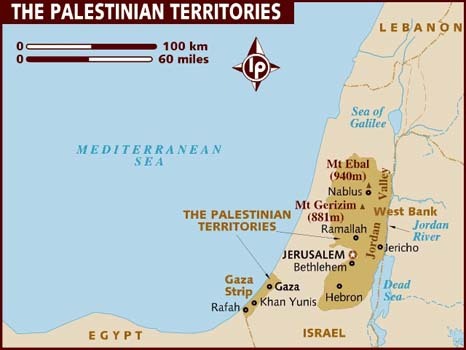 The West Bank also includes “East Jerusalem,” which includes the eastern part of the historic city. After my time in Spain, I noticed a very pronounced difference between American and European views towards the Israel-Palestine conflict. While Americans often favor the Israeli side, Europeans often side with the Palestinians. Being written by French reporter René Backmann, this book does not challenge the typical European view – it is decisively pro-Palestine. Although it does include interviews with some Israelis, the interviews only serve the purpose to support the conclusions of the author. There are no compelling examples of Israeli voices on the opposing side. That being said, the book is extremely interesting and a quick read. I would recommend it as a supplement for other reads to people wanting to understand the multiple sides of a very complex issue. The book tells the social and economic hardships faced by the Palestinians following the creation of the Israeli West Bank barrier. Constructed by the Israeli government starting in 2003, the wall received much support among Israelis fearful of terrorist attacks following the Second Intifada. The Second Intifada which took place in the early 2000s saw a large rise in Israeli-Palestinian conflict – with Palestinian groups utilizing tactics, such as suicide bombing, guerrilla warfare, car bombs, etc. Economically-speaking, the wall has had great economic implications. Before the barrier, while movement for Palestinians was often difficult between East and West Jerusalem, it was not impossible. According to Avi Dichter, head of the Shin Bet (the equivalent of Israel’s FBI), who supported the creation of a wall: “Ninety-nine percent of them [illegal Palestinian workers] were coming only to work, but one percent could be terrorists” (page 43.) The wall has had further implications than unemployment, which “jumped from 16.9% in 2000 to 25.2% in 2007” (page 139). After the construction of the barrier, property declined in value, farmers were sometimes separated from their land, and shops that catered to Israeli customers lost a huge customer base. Moreover, the barrier has made trade much more difficult for the Palestinians and has even made legal Palestine workers experience hardship while trying to get to their jobs in Israel. The book quotes a Palestinian, stating that the purpose of the wall is to “make our lives as difficult as possible. They don’t let anyone pass through [the checkpoints], even for weddings or funerals. The truth, you see, is that they want to make us leave. They want the land, not the people” (page 93.) Although my limited understanding of the intricacies of the situation prevents me from drawing any conclusions based on this statement, I found it resonating in my mind as I read this book.